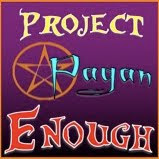 Last year saw the creation of Project Pagan Enough, my movement to halt in-fighting and name-calling in the pagan community and instill a sense of community. Suffice it to say, this movement has exploded across the pagan blogosphere, with a few notable exceptions. Podcasters, authors, radio hosts, bloggers, and folks that just enjoy a little bit of everything have taken the PPE pledge, even posting the badge to their Facebook pages, blog sites, and more. I cannot tell you how humbled I am that this little project of mine has seen such wonderful use and pervasion into the greater consciousness. Thank you for that, dear Rioter. However, the project also had its notable dissenters. A few podcasters ridiculed the idea as naive, unnecessary, or downright childish. Some bloggers - one that I had on my show in particular - made anti-PPE movements (that, I'd like to add, fizzled quickly) and decried the movement as simplistic, overreaching, or, as that maven of tact put it on my show, "stupid." Personally, I like to believe I'm nothing if not willing to take a dissenting opinion and learn from it. Many folks had a point. The language of PPE 2010 was too simple, too inclusive, and left a lot to be desired. People could make it mean a lot of things, and with the language that I hastily used to create the project it is easy to see how that could be done. I knew that PPE was not going to remain a fixed list of ideas and that it - like all pertinent works - should grow over time. Thus, I have rewritten the tenets and ideas behind Project Pagan Enough. They are, I feel, tighter, more concise, and get to the heart of the issues I really wanted PPE to deal with. In-fighting. The need for discourse. The reactionary, overly-defensive pagan that refuses to listen to different ways of thinking. The newbie pagan who is afraid to ask questions, because they keep getting shot down. The Christian-bashing pagan. The folks that have made it the standard to shoot down all ideas of what it means to be pagan except their own for far too long. This manner of thinking will kill our community. In fact, I'd venture to say that it is killing what little community we've managed to create. We are growing. We are no longer a small group of folks that look, dress, or believe in very similar manners. We are in all socio-economic brackets, have a range of appearances, manners of dress, and a host of differences that just showcase the beauty of the human tapestry. We should not shy away from change and growth, but, rather, be the group that embraces it. Therefore, I ask you to go to the new Project Pagan Enough page (or just scroll down to the bottom of this post) and read the newly worded Project Pagan Enough outline. If you still believe in it, or you can get behind this idea better than the 2010 version, I ask that you recommit to Project Pagan Enough. Spread the badge. Share the story. Link back to the permanent PPE page. Help this movement grow and, by extension, help the pagan community grow. Also, one last thing I promise. I am beginning a contest. No, you don't have to buy anything or donate anything. I'd like you to send me your PPE story. How has PPE affected you? When was there a time that you were criticized within the community unfairly? When have you felt judged or mistreated because you didn't look the part of "pagan"? How did you react? Has PPE helped you to treat other pagans or people of other religions more fairly? Submit any and all responses on these or similar topics to IncitingARiotPodcast@gmail.com. I would like to use them for an upcoming PPE-centered show. All participants will be entered to win a special, limited-edition prize made by our new sponsor Mrs. Oddly. Take the pledge. Are YOU pagan enough? 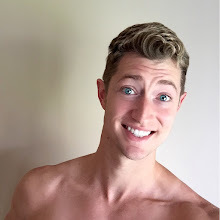 Banner is on my main page at the Cottage with links and words as well on my About Me page. It is a very important project to me.